Here's one more illustration commission I got back in December, this one was for D Home Magazine (the D stands for Dallas!). 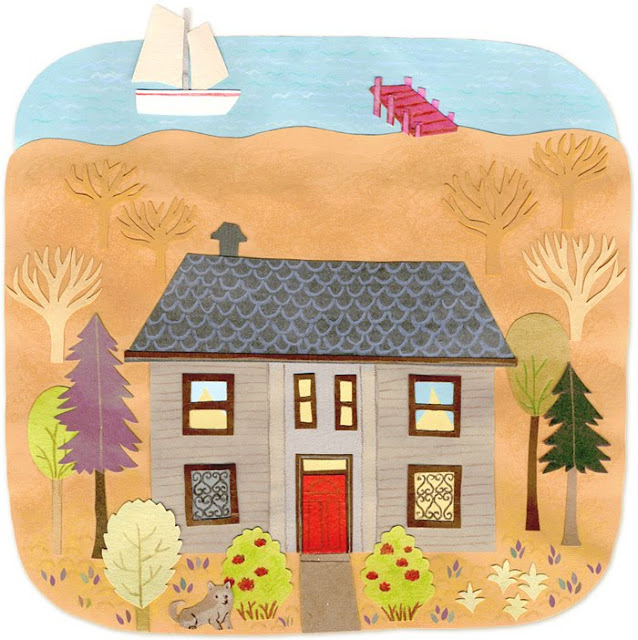 The article was about visiting your childhood home as an adult, written by Peggy Levinson and art directed by Jamie Laubhan-Oliver. Visiting my old homes is something I've never done myself, but I often think about doing. The online article can be read here. 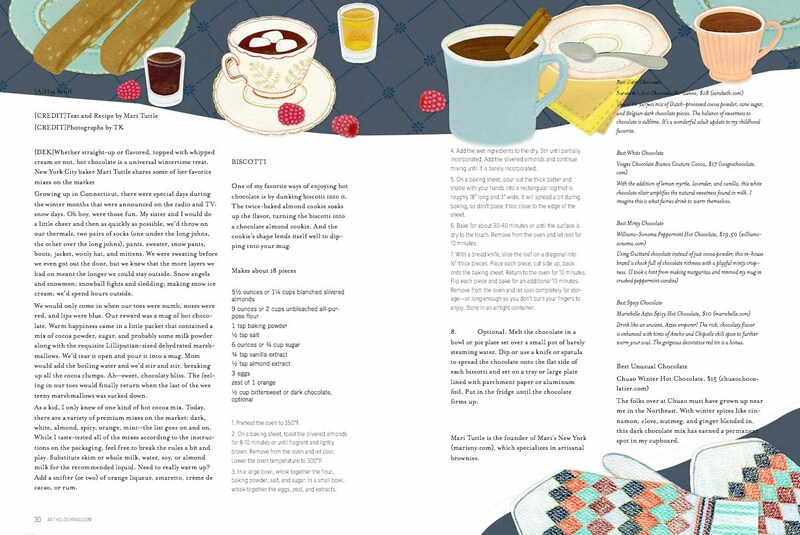 Back in December I was asked by the wonderful creative director, Meg Mateo Ilasco, to do a magazine spread for Anthology Magazine. Anthology is a newer, quarterly, publication filled with great articles about home decor, travel, design, entertaining and culture. It's really a great read. 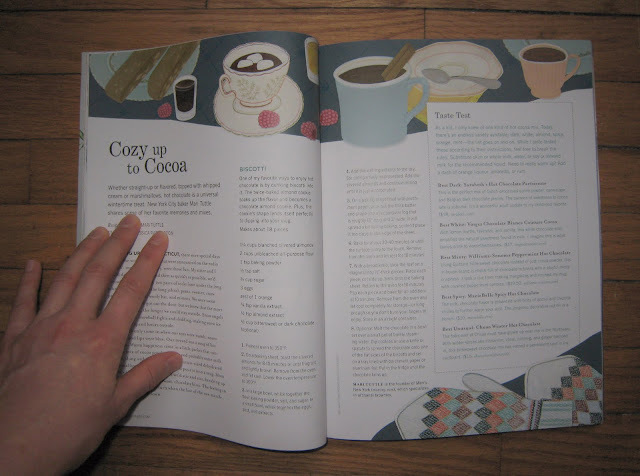 The article I did the spread for is all about hot chocolate! It was really fun for me to make and I love the fun layout design. 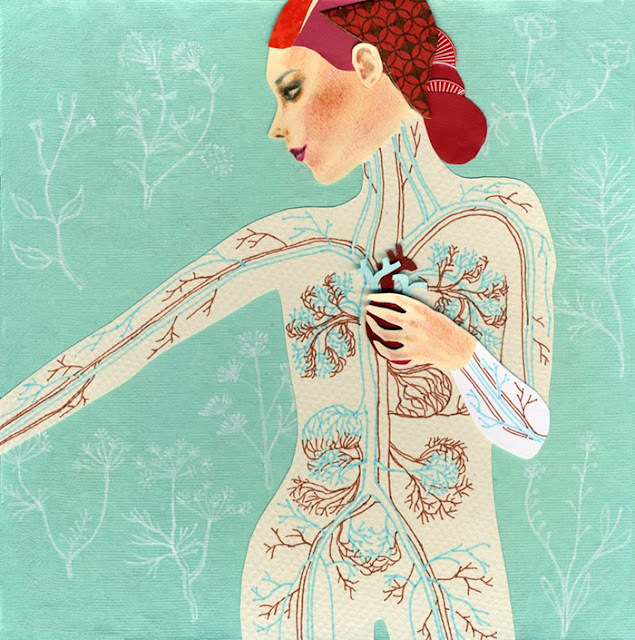 I was recently informed by Catherine McFarlane, that my Heartstrings illustration is a finalist in the Icon Prize! That means this is being considered for the cover artwork of the novel, The Unfastened Heart by Lane Von Herzen. In my illustration I wanted to show the intricacies of love by showing the mechanics of a woman's heart and circulatory system. With my line work, I wanted the drawings of the weeds in the background to mirror the veins in the body. Also, I was interested in the contrasting aesthetic of the silhouette shape of the body, with the hand drawn line art, and the more highly rendered pencil crayon shading in the face. I feel it is a collage of rendering techniques as much as it is a paper collage. I was recently commissioned by Caitlin Smith (a great Canadian, conductor/composer/musician/business woman) to create illustrations for her new website. 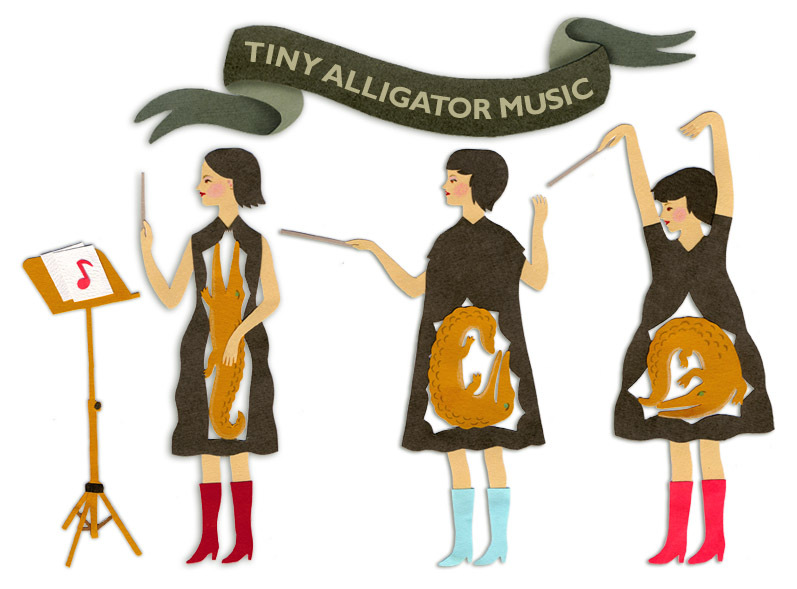 I made both silhouette and full colour versions of the Tiny Alligator conductors. 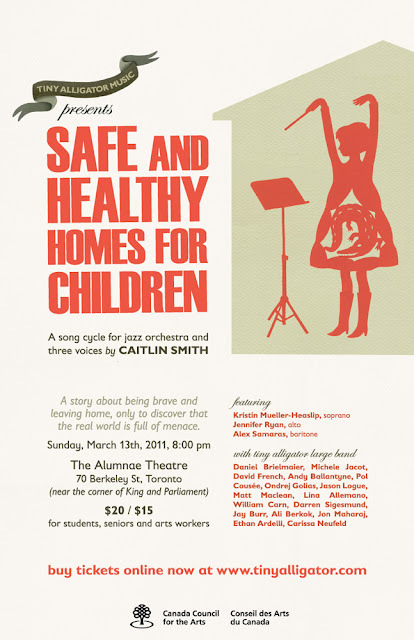 I also created two pieces of promotional material for her upcoming performance, Safe And Healthy Homes For Children. There's a facebook invite for the event here.